You pick the size you need. You can mix and match sizing for quantity discount. To view complete measurements, please see description below. Picture shows 2 dippers - 5.25" dipper is on the left and 4" dipper is on the right. 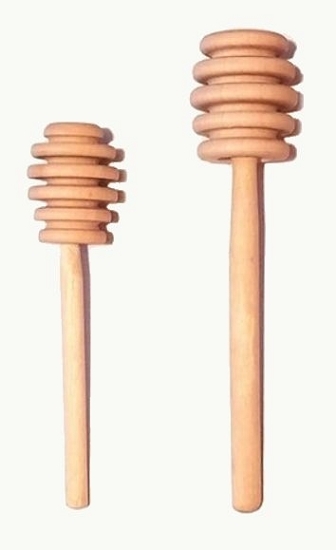 4" Dipper: Wooden honey dipper which measures 4 inches in length. Dipper head measures 7/8" at it's widest point and is 1-1/4" in height and made of maple. 5" Dipper: Wooden honey dipper which measures 5 inches in length. Dipper head measures 1-1/8" at it's widest part and is 1-1/4" in height, dipper handle is 3-3/4" long and made of maple. 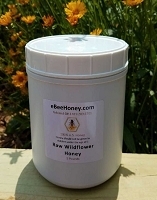 Personal Wildflower Hex Jar - 2 oz. Personal Wildflower Round - 2 oz. This was a nice add on to be able to get the honey out with. It fits perfectly in both sizes of honey. Seems to be very well made. For the price I plan on grabbing extras next time I order honey. These a nicely made! Great product. 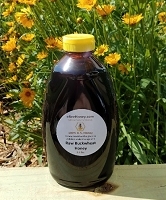 The 4 inch is excellent for smaller jars but they are a size larger to fit in the 8oz jars. Can sand middle band then will fit. Excellent product.. Perfect size for the honey jars!!! Well made. Love the product- using it for baby shower favors. Items were delivered quickly. Follow up e-mails were great! Wonderful customer service. 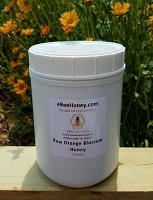 We paired the 4" honey dipper with the 6oz hexagon honey jar and the size was perfect! They made a perfect client holiday gift! I ordered 4" honey dippers for my daughter's bridal shower and they're exactly what I wanted and nice quality! The price was great and the expedite of the order was fantastic! I'm very pleased to deal with this company! In the future I would be a return customer or definitely recommend them to friends! Exactly what I was looking for. Great price and quality. I bought them for my wedding favor. I think they are going to look very cute with the honey jars. The honey dippers arrived in perfect condition. They were an excellent addition to the honey jar favors. Received and it is picture perfect. 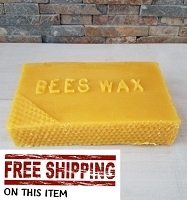 Very smooth and good quality at the best price ! I had been so excited to find these dippers at such a great price so I immediately ordered 90. They arrived so quickly & for less money than initially quoted. When I opened the box I was truly amazed at the quality! They're sturdy, well sanded, consistent in color & quality! My husband asked if I had any extras so we could keep a few for ourselves! Even better than the dippers was the level of customer service. It's been a very pleasant transaction all the way through & I'll "bee" back!!! 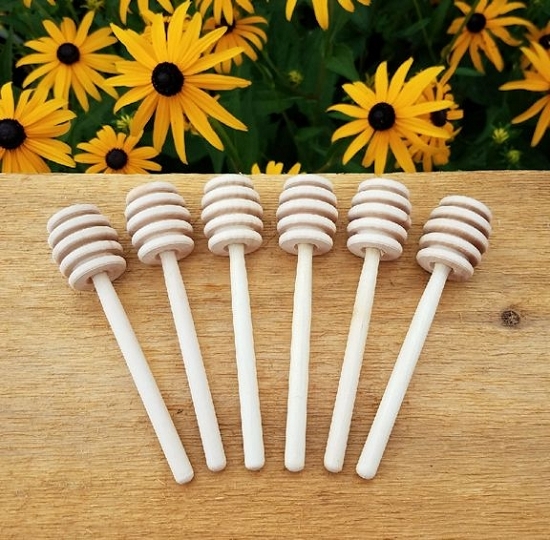 These honey dippers are exactly as advertised -- sturdy, well-sanded, and quality products. Delivery was very speedy! Dippers are great! Do not look or feel cheap...very happy with them. Ordered to go with honey for daughter's baby shower. Definitely will recommend. Wooden dippers were perfect for the small jars of honey, and look so cute as part of a shower gift. Bought to go with my honey pot favor. Works perfectly! 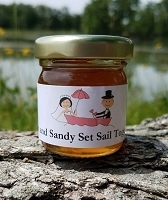 We purchased these to accompany the honey jar favors for each guest attending a bridal shower brunch. Tied together with a ribbon they made a wonderful take hone gift. 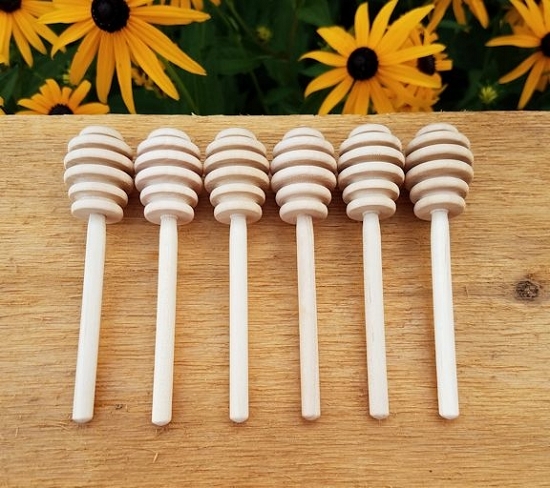 I shopped all over the internet looking for honey dippers for my wedding favors. These were the perfect size, and the best price. The shipping was fast, and I can't wait to use them! Thank you! Very nice dipper, but almost to small for real use. I would stick to 5 inch or longer if you are using larger jars. These are everything we expected. They are so cute with the honey jars. 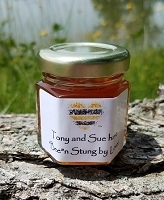 Cannot wait to see what our guests think when they receive these with the honey. Thanks for your quick response and delivery. Love, love, love them! I ordered the 4" dipper as part of our wedding favors, and they are perfect! 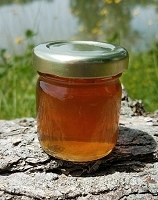 Excellent quality, perfect in size for small jars of honey, and a nice touch. very cute item, works exceptionally well, exactly as pictured, just what I needed! Highly recommend! Purchased these to go with honey for a bridal shower. They are very solid and looked perfect with the honey. 4" dippers are so cute. Exactly what we were looking for at the most reasonable price! I love this item. 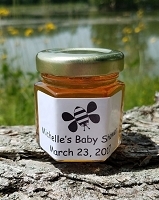 Im using it on a babyshower favor with a jar of honey . Perfect size for a 4" jar. The wooden dippers I recieved promptly were very well made and a good price. I added them to the honey baskets I created for Christmas presents. Excellent service and quality. I purchased these dippers to go with the 2 ounce honey jars that I bought for "high tea" bridal shower favors. I put these (along with several personalized teabags) in a small netted bag to hand out as party favors. They looked amazing and everybody absolutely loved them. I could not have been more pleased. These are the perfect accent to a shower favor. Family and friends Loved them!! I purchased the honey dipper as part of the shower favor gift for my daughter's bridal shower. I purchased jars of your honey and I bagged them and the honey dipper was attached on the outside with ribbon and it looks so adorable. 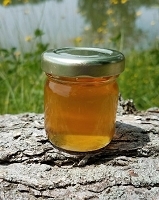 The 4 inch honey dipper is the perfect size for the 2 ounce jars of honey. We attached dippers to jars of honey as a baby shower favor. They are adorable. 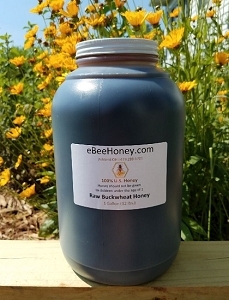 Great product for the small jars of honey, we use it for the variety pack jars. Works great! This product is also very easy to clean.